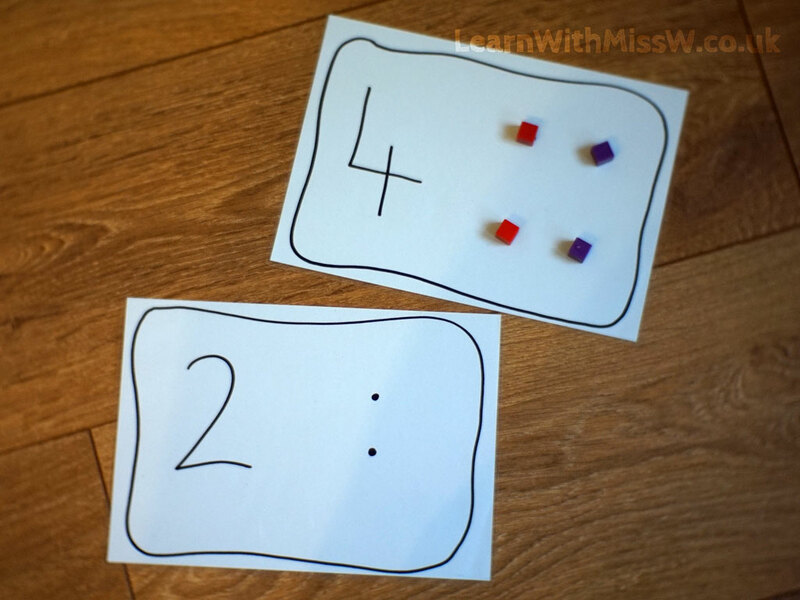 Simple counting and number recognition activity. I had no access to a computer the day I made these, but it’s probably good for the children to see some hand-written resources! 1 to 1 correspondence for counting. Number recognition. Some children didn’t recognise the numeral, but were able to figure it out by counting the dots.